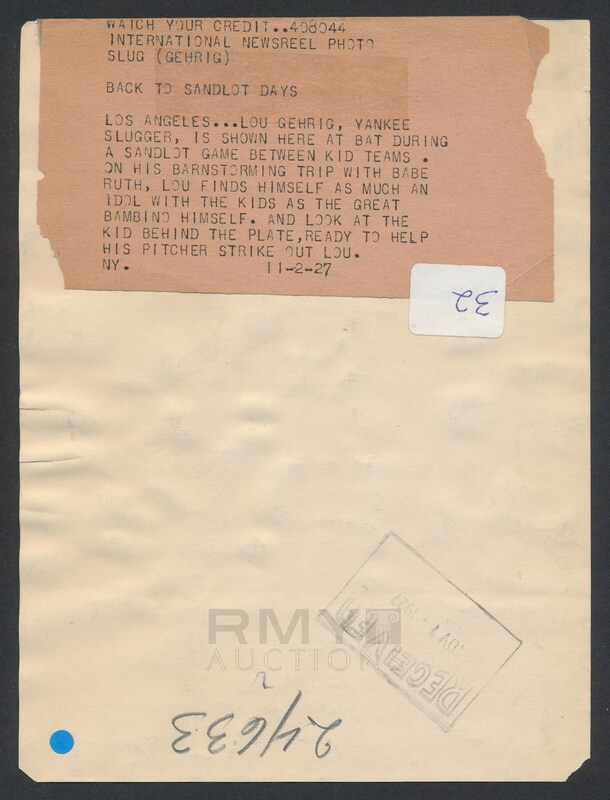 Lot # 33: 1927 Lou Gehrig, "Sandlot Superstar During Barnstorming Trip" Tank Top with Kids! 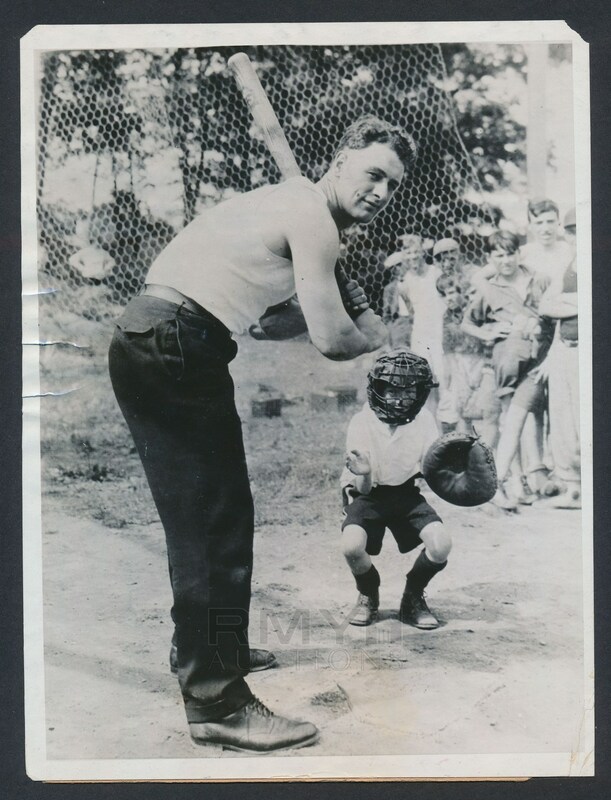 1927 Photograph of Lou Gehrig taking a break during his trip with the "Larrupin Lou's" to play in a sandlot game with a bunch of kids and taking a turn at bat with a kid behind the plate taking the event VERY seriously. Lou is wearing a sleeveless t-shirt and showing off his guns for the camera and the kids are devising a plan to try and strike out the slugger. A touching image dated on the back from October 1927, this is a companion piece to the photo we sold in our July 2018 auction for $7675! Issued by the International News and stamped on the back with a full paper caption as well.